Labor Day is here - it's time to get off the beach, get back to work, back to school. And time to put into the diary the following events featuring our accomplished Latvian performers and artists - and more! Please save the date and let your friends know ! 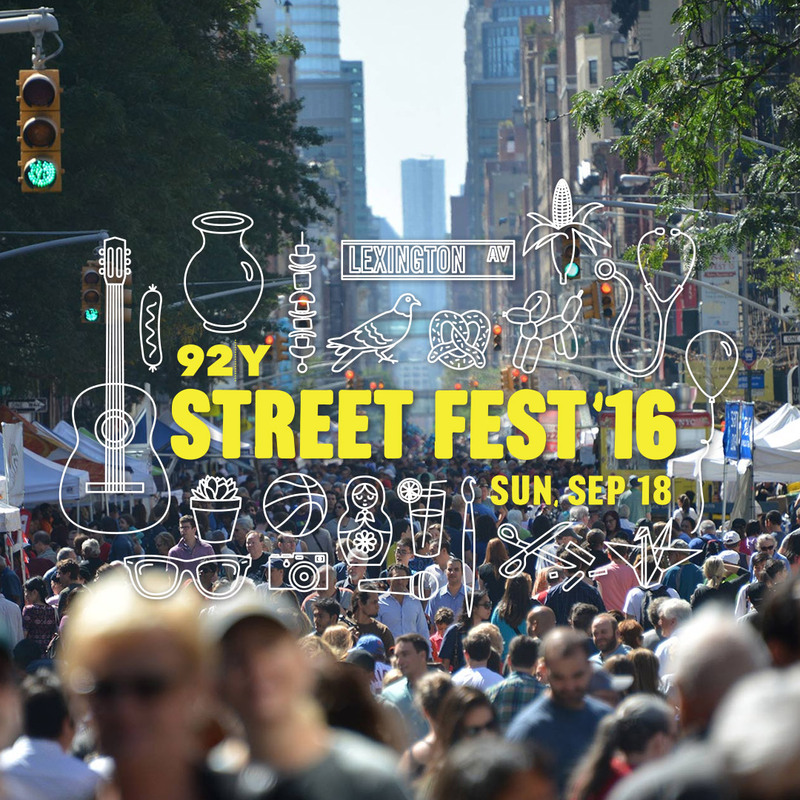 On Sunday September 18, the Consulate of Latviawill again participate in the 92Y International Way Street Festival. The Latvian booth will be in particular promoting Latvia as a must see tourist destination for New Yorkers, as well as answering questions about Latvia. To read more about the StreetFest, please visit the92Y website here. The Embassy of Latvia's mobile passport station will be in New York City on October 6-8, 2016. You must send your appointment application to theEmbassy in Washington no later than September 28, 2016. Latvian soprano Marina Rebeka returns to MetOpera on October 18, 2016 in Rossini’s epic telling of theWilliam Tell fable. This opera returns to the Met stage after an absence of more than 80 years, in a new production by Pierre Audi. Gerald Finley sings one of his signature roles as Tell, the revolutionary on a quest for freedom. Marina Rebeka is Mathilde and Bryan Hymel is her suitor, Arnold. Fabio Luisi conducts Rossini’s final, crowning operatic achievement. For more information, please visit here the MetOpera website for dates and ticketing information. To read more about Marina Rebeka, please click here. 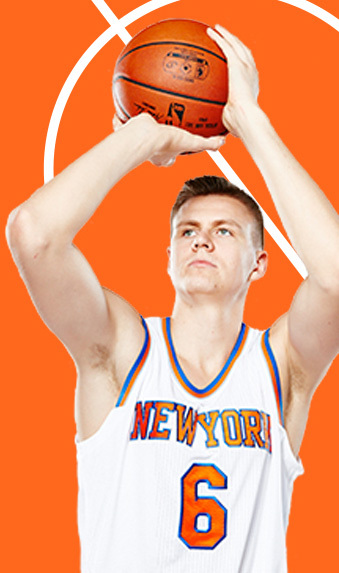 Kristaps Porzingis returns to Madison Square Gardens for the 2016-17 season on October 29 ! Kristīne Opolais has established herself as one of the most sought after international opera singers. She will be back again for the 2016-17 MetOpera season on November 16 in La Boheme. The Met presents its spectacular Zeffirelli production,with multiple excellent casts: Ailyn Pérez and Kristīne Opolais are paired with Dmytro Popov, Piotr Beczała, and Michael Fabiano, as the young Parisian lovers at the center of the story. Susanna Phillips, David Bizic, and Massimo Cavalletti also star. Carlo Rizzi and Marco Armiliato conduct. For more information regarding dates and ticketing, please visit the MetOpera website here. 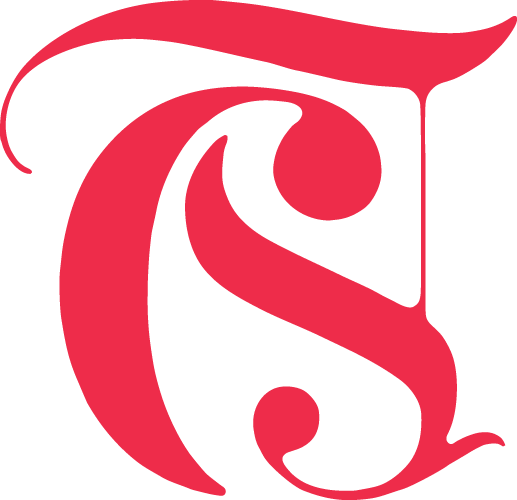 To read more about Kristīne Opolais, please visit her website here. Anna Netrebko and Kristīne Opolais share the title role of Mimi, a heroine as alluring and irresistible as her adored city of Paris. Marcelo Álvarez is her obsessed lover in the opera that made Puccini famous, showcased in Richard Eyre’s heated,1940s film noir–inspired production, with Marco Armiliato on the podium. Kristīne Opolais performs on November 21, December 7 and 10. For more information re dates and ticketing, please visit the MetOpera website here. Kristīne Opolais returns on February 2, 2017 and stars in the role that helped launch her international career, the mythical Rusalka, who sings the haunting “Song to the Moon.” Mary Zimmerman brings her wondrous theatrical imagination to Dvořák’s fairytale of love and longing, rejection and redemption. Brandon Jovanovich, Jamie Barton, Katarina Dalayman, and Eric Owens complete the all-star cast, and Mark Elder conducts. February 28: Shostakovich’s colossal “Leningrad” Symphony honors the composer’s native city and its heroism during the 900-day siege it suffered during World War II. While the work does not have a program, visions of war, mechanized invaders, and ultimate victory are conjured with striking power. There’s also the premiere of a new work from legendary Russian composer Sofia Gubaidulina that’s part of Carnegie Hall’s ongoing 125 Commissions Project. Also performing this evening with the BSO will be acclaimed Latvian violinist Baiba Skride together with Harriet Krijgh, Cello; and Elsbeth Moser, Bayan. March 1: The BSO displays its versatility and virtuosity in a jazz-inspired work by the late Gunther Schuller, a richly scored Mozart piano concerto, and one of Beethoven’s most stirring symphonies. His mighty “Eroica” thrills with its grand scale and muscular power—a magnificent depiction of the heroic that boldly heralds the Romantic era. Emanuel Ax on piano performs with the orchestra this evening. March 2: A heartfelt memorial, a New York premiere inspired by Arabic poetry, and a phantasmagorical tale of vivid instrumental detail spotlights the virtuosity of one of America’s finest orchestras. Ravel honored friends lost in the First World War with Le tombeau de Couperin, a gentle 20th-century version of the Baroque dance suite. Berlioz’s Symphonie fantastique has its calm passages, but also includes musical depictions of hallucinations, murder, execution, and a chilling finale that depicts a witches' sabbath. George Benjamin’s colorful Dream of the Song sets verse inspired by the Arabic poetry that flowered in Andalusia from the ninth century onwards. Also on stage this evening: Bejun Mehta, Countertenor and the Lorelai Ensemble. The New York Times has said of Latvian mezzo-soprano Elīna Garanča, “There are few voices as sheerly lovely as hers: a smooth, evenly produced instrument, rich but not heavy, with high notes that penetrate without blaring.” The soulful singer performs lushly Romantic songs by Brahms, Duparc, Rachmaninoff, and others in her return to Carnegie Hall on March 19, 2017. 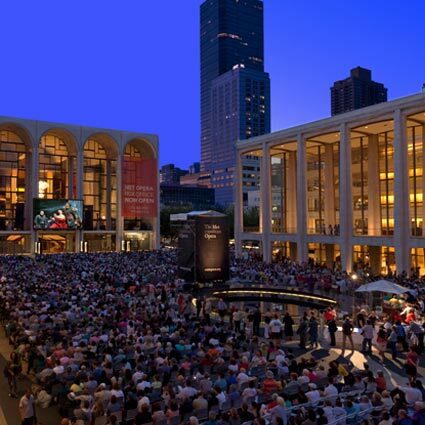 To book tickets, please visit the MetOpera website here. Marina Rebeka continues her MetOpera season performances on April 26, 2017, in Wolfgang Amadeus Mozart’s opera Don Giovanni. 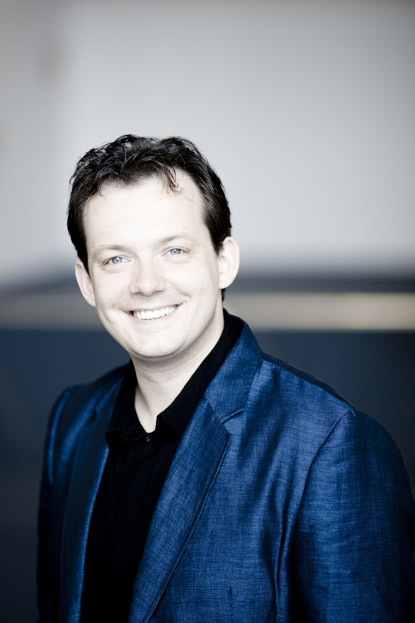 Three charismatic singers, Simon Keenlyside, Ildar Abdrazakov, and Mariusz Kwiecien, share the role of the title hero, who goes to hell in a dazzling coup de théâtre. The ensemble of great Mozartean singers includes Isabel Leonard, Angela Meade, Matthew Polenzani, Marina Rebeka, Erwin Schrott, Ramón Vargas, and RolandoVillazón. Fabio Luisi and Plácido Domingo. 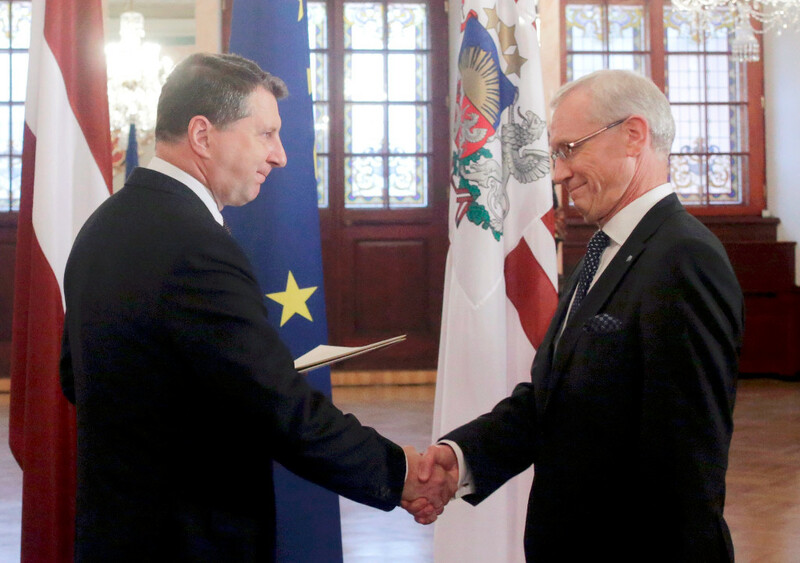 During an official ceremony at the House of the Blackheads on July 22, 2016, the President of Latvia, Raimonds Vējonis, presented credentials to Andris Teikmanis, Latvia’s new Ambassador Extraordinary and Plenipotentiary to the United States of America. Ambassdor Teikmanis is scheduled to present his credentials at the White House in mid-September. We look forward to meeting the new Ambassador in New York shortly ! Andris Teikmanis began his work at the Latvian Foreign Ministry in 1994, becoming Latvia’s Ambassador-at-Large to the Council of Europe. During his career in the foreign service, Andris Teikmanis has been Latvia’s Ambassador to the Federal Republic of Germany and the Russian Federation. Since 2013, he has been Ambassador of Latvia to the United Kingdom of Great Britain and Northern Ireland as well as non-resident Ambassador to Commonwealth of Australia and to New Zealand. From 2002 to 2005, Andris Teikmanis was Under Secretary of State at the Foreign Ministry and from 2008 to 2013, he was State Secretary. 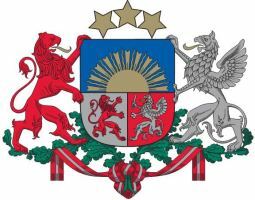 From 1990 to 1993, Andris Teikmanis was a member of the Supreme Council of the Republic of Latvia and, on 4 May 1990, he signed the Declaration on Restoration of Independence of the Republic of Latvia. Andris Teikmanis is a Commander of the Three Star Order and has earned a number of awards and decorations for his personal contributions in promotion of diplomatic relations including the Cross of Merit of the Republic of Latvia. Since 2012, Andris Razāns has been Latvia’s Ambassador to the United States, and he now will be taking on new duties as Ambassador-at-Large at the Latvian Foreign Ministry. We thank Ambassador Razāns and his spouse Mrs.Gunta Razāne for their work on behalf of Latvia here in New York and the U.S. over the past 4 years.